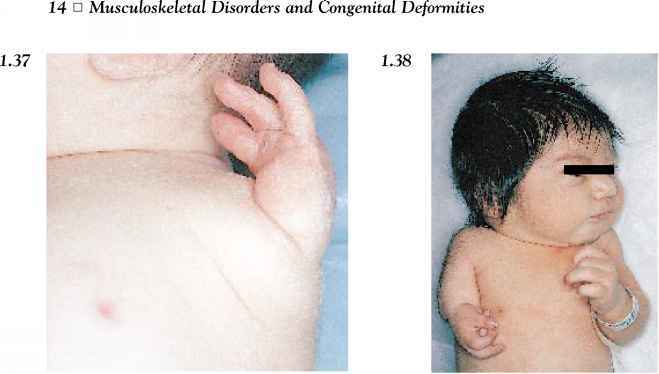 In this term infant with progeria (Hutch inson-Gilford syndrome) there was marked growth retardation (birthweight 1800 g). 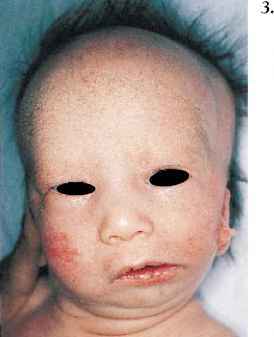 The face is small with a large head (pseudohydrocephalus) and there is a marked lack of subcutaneous tissue and prominence of the knees. 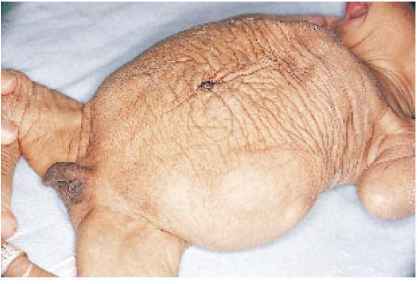 This is a condition in which there is pseudose-nility with hypertension, car-diomegaly, and atherosclerosis resulting in early death (at the average age of 14 years).